I‘m not a perfect pharmacist. I’m not a perfect pharmacy manager either. I still have a lot to learn. But I’ve been a pharmacist for more than 20 years, and a pharmacy manager for most of that time. I have had the privilege of managing pharmacies for 3 separate companies, and along that road I’ve learned a few things worth passing on. 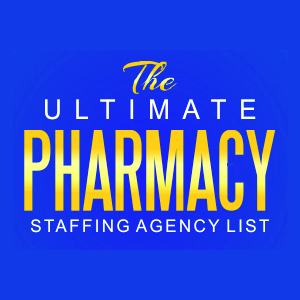 I write this post with the “new” pharmacy manager in mind. I know your job may have certain unique requirements. Obviously I can’t address those. But there are a few general principles I have learned which I wish someone had shared with me at the beginning. I’ve learned them along the way. Some I’ve learned the hard way. And I’m happy to pass them on to you. These are the 10 tips for being a pharmacy manager that I hope will offer you some guidance if you are new to this position. 1. Appreciate Your Staff. First and foremost I suggest you become a leader by appreciating your staff. Tell them what they do well. Thank them for their service. For the most part people work much harder and better under an umbrella of appreciation than a thunder storm of criticism. Listen, life is hard. And pharmacy work can be thankless. Make a difference by being someone who generally sees the best in others. This will generally propel your effectiveness as a manager as much as any other tip I know. 2. Set the tone for service. As manager your attitude toward service will set the bar for the rest of the staff. This won’t be easy when the pressures and volume of prescriptions that need to be checked and verified seem to be endless. But the fact is that your actions will speak louder than your words. And the way you serve your patients will be infectious – for better or for worse. 3. Don’t overreact. Mishaps will happen. Avoid the temptation to freak out. As a manager it’s not your job to make sure things run perfectly, but rather that the team learns from the problems we encounter. Losing your cool won’t get you anywhere. Keep your head about you. Computer systems crash, communication sometimes breaks down, occasionally some heated drama erupts. You need to stay cool. 4. Learn to delegate. Being manager doesn’t mean doing it all. Burnout isn’t uncommon. Something I learned (and am still learning) is that your associates often want to be more involved than you think. I’ve met some managers that want to totally control everything (I’ve also met a few who wouldn’t do anything). There needs to be a balance. But learning to delegate some of your responsibilities is important to your growth. Doing so helps develop skills in others that will make their jobs more fulfilling and save you many frustrations. 5. Hold meetings when possible. This, in my opinion, is one of the most neglected secrets to successful pharmacy management. Logistically it is also the hardest to pull off. You may have to have separate meetings with part of your staff. You might have to arrange for an early morning (before opening) or later night (after closing) meeting sometimes. At these meetings you can appreciate your staff, talk about goals, brainstorm ideas for making improvements and discuss anything else that is going on. 6. Be a problem solver. Rather than immediately bringing every problem to the next level of management, try to develop the skill of solving problems yourself. Before calling your boss, anticipate what he/she might suggest…and do that first. In fact, try to anticipate every suggestion they will give you and attempt all of them before involving upper management. And, when you do have to call for support, don’t just bring problems – but suggest solutions. 7. Stay current. Keeping abreast of everything going on in your company, your state and the pharmaceutical market is a task that none of us is sufficient for. But you will need to come up with some method to keep reasonably informed about the latest happenings. Keep a reading list. Journals, magazines and newsletters may be very helpful. The internet and social media are also quite useful in my opinion. 8. Be fair. Don’t play favorites among your staff and don’t give special treatment to some. Nothing will create more problems within your team than by giving more attention or special privileges to certain individuals. 9. Think outside the box. There’s more to serving the community than what happens inside the 4 walls of the pharmacy. How about organizing a fundraiser for a local charity? How about offering to speak for a local senior center or school? My own view of being a pharmacy manager includes, to the degree that you can, showing leadership by serving the community too. This may not be in the company job description…but I think you will find it pays rich rewards in developing your leadership skills. 10. Don’t criticize the company. In my opinion this rarely helps your cause as a manager. It breeds discontent and sometimes will come back to bite you. 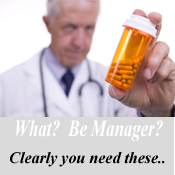 These 10 tips for being a pharmacy manager aren’t comprehensive. Got some tips you would like to share? Please COMMENT below! Would love to hear your thoughts.